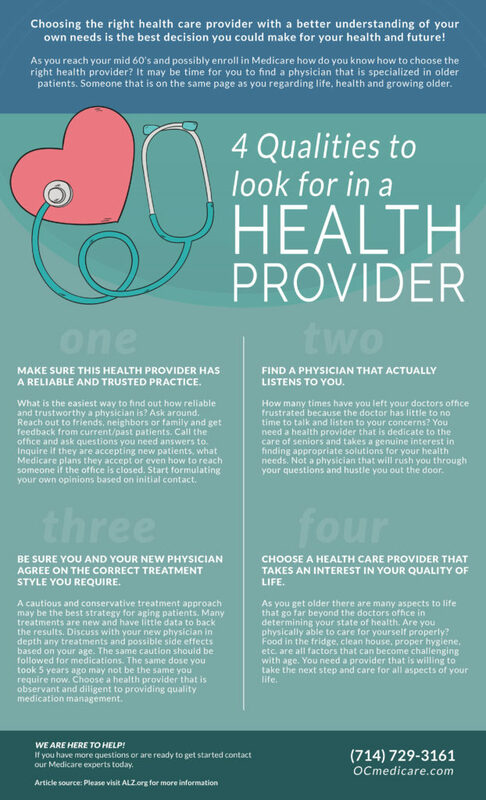 Choosing the right health care provider with a better understanding of your own needs is the best decision you could make for your health and future! As you reach your mid 60’s and possibly enroll in Medicare how do you know how to choose the right health provider? It may be time for you to find a physician that is specialized in older patients. Someone that is on the same page as you regarding life, health and growing older.